I don’t own many male figures, and I don’t own any other Gintama (銀魂) figure. 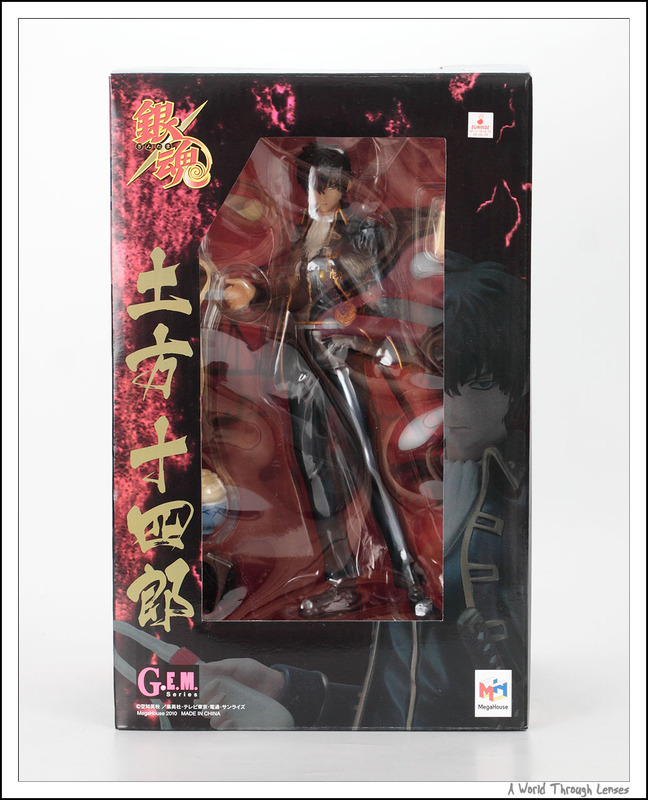 But after seeing the pre-order picture for this Hijikata Toushirou PVC from the Gintama series, I placed an order for him. Maybe it’s his cool looks, or maybe it’s the extravagant mayonnaise display (see details below). Either way the Shinsenguimi number two now joins the rare group in my figure collection. MegaHouse isn’t exactly known to make really great figures. For the Gintama series, they have previously released Sakata Gintoki in April of 2010. The Gintoki figure really did not impress me. I thought they have really done a poor job on the series’ main character. But this Hijikata figure seems to be much better than Gintoki especially in terms of the face sculpture and the paint. Another figure in the same series Sougo Okita is slated to be released in October 2010. G.E.M. 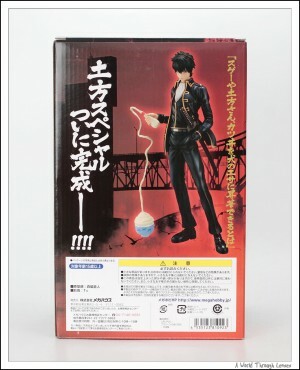 Series Gintama Hijikata Toushirou 1/8 PVC by MegaHouse (銀魂 土方 十四郎).Original Sculptor Moriwaki Naoto　(森脇直人). Released on June 2010 with an MSRP of ¥6,600. Still in the box, front and back.